We all have vices. For some, it might be a sweet tooth that simply won’t be satiated. For others, it might be that they enjoy a beer after work three days a week. However, for others, the vices they hold are much less manageable. Sometimes, they can inform one another. For example, alcoholism could easily transform into a harder drug habit if around the wrong bar circles for too long. Internet addiction could easily morph into video game addiction, and that might even morph into watching sexual content as a form of addiction online. Internet addiction can be a fickle beast. It’s very hard to veer away from in our society, as smartphones and desktop computers are the norm if you hope to live any form of functional life. While it’s possible to disconnect, often this can isolate you from co-workers, peers, and even limit you from bonding with a certain social group. Instead, time is the key. You can download apps to limit your time online each day, or make a pact only to look at your device if a notification comes through, not to mindlessly browse apps. You might delete apps that you truly don’t need (no one truly needs an Instagram or Snapchat unless for business purposes,) and you may simply keep the messaging app on your phone for platforms like Facebook. Of course, therapy exists if you need further help. Alcoholism is a centuries-strong form of vice turned addiction, and can absolutely destroy your life if you let it get out of hand. It’s also an extremely quick method of harming your health, and unfortunately pushing those who care about you away from you. 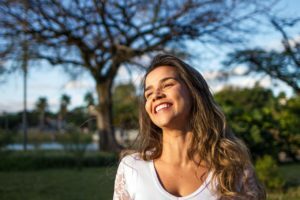 In these instances, it can be essentially important to attend a sober living for women environment in order to learn a new form of lifestyle, and pick up tips and tricks to help you develop in the best manner possible. Connecting with a twelve step program, rebuilding your life via alternate priorities, reminding yourself of just how bad things can get and seeing your Doctor can also help. However, you have to want to change. Without this, nothing will happen. But it’s also wonderful to learn that you are always much stronger than you give yourself credit for. Gambling addictions can also be extremely hard. Outside of seeking professional help, you might ask reputable casinos or your usual haunts to bar you from their services. You should delete any trace of access on your phone, blocking websites and apps. You should also focus on working towards your debt because you can be sure that when you start making payments and going through a debt council, this positive momentum can be harder to stop the longer you let it go for. With these tips, we have hopefully helped you in the starting march to cut your vices one by one.